(Pictured with a "Hurricane", another Louisiana specialty.). Each time he uses a different recipe. Each time it turns out wonderful. she even hooked the NVO up with a signed copy! to complete some of the colors of autumn. 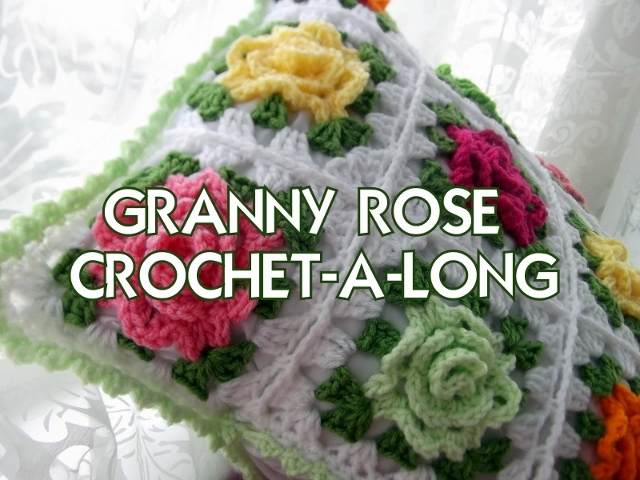 The entire Rose Granny Square plus how to make a pillow out of the squares found here. Stay close, this will be a fun one! "What should I do with the "La Vie en Rose" afghan test swatch?" Table topper for candle or a vase of flowers. A doll cushion (very sweet). A wall hanging with strings and tassels. as suggested by E Strea Chikitu. sewed the ends together and pulled. "Little Bag", as they coordinate with the bag and are so very delicious. Oh, maybe a box for me, too. "That party had gone Texas!" so, curiously, we asked, "What does that mean?" Well, from what we gather, it means something got really wild and crazy. It has now become part of our "little sayings" repertoire. and Louisiana and New Mexico and a little bit of Colorado, too. First to visit a new grandbaby, and two daughters in NOLA, LA. Then Houston for another grandchild and son. Then the Texas Hill Country, checking out relocating options. Then, NM for a green chili burger! 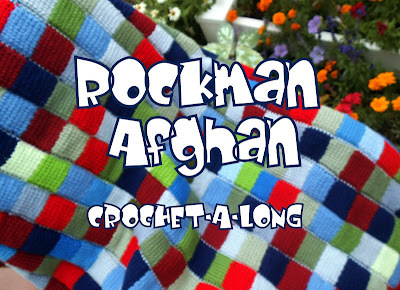 that I make and bring some crocheted items! How did I do on the segue? The middle yarn is called "psychedelic". 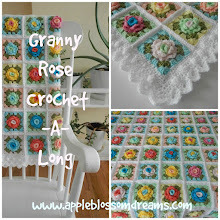 This is my most popular pattern and can be found here. hang them on the faucet to dry. Once you use these it's likely you will never want anything else. I promised you something good to eat, right? Well, here is my best effort. You could even leave some ingredients out and I think it would still be yummy. and I even had a small bag of tri-color mini mild peppers. Added three cans of tomatoes. Some chicken base...I like this one: no MSG! Basil was rinsed then cut, with kitchen shears, directly into the pot. S & P, Red Pepper Flakes, and Italian Seasoning. I used Almond Milk and Greek Yogurt. and puree it right in the pan. Soup and sprig of basil. Soup first, then cheese and vinegar with sprig of basil. Leftovers were individually frozen and saved for lunches. There will be fighting over these leftovers! Let me know if you make it and what you added or left out!